This is a reissue of part of a recording taken from Ralph's concert at the Smithsonian Institution in Washington, DC, on Sunday 10th March 1974. 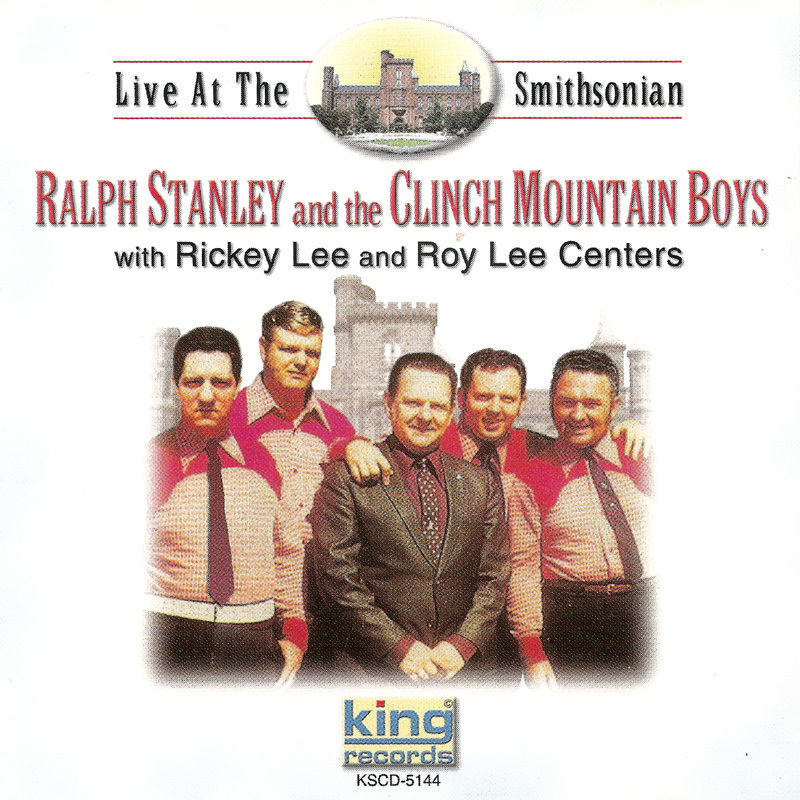 For more information see our notes on the original release: Live At The Smithsonian Institution (Atteiriam API-CD 1662) 1992. One thing noteworthy about the reissue of this, and the accompanying Vol. 2 CD is the cover. 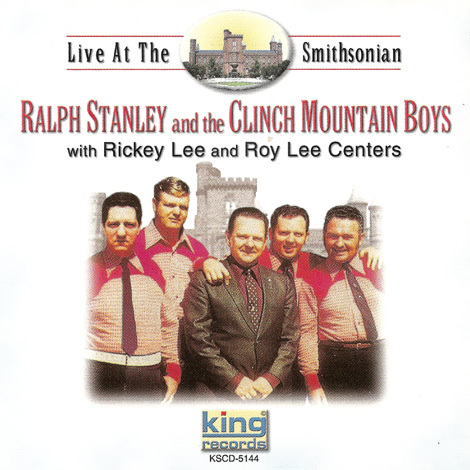 This features a photomontage of the band lifted from the Atteiriam release, combined with a replacement picture of Jack Cooke (who's cropped on the original), and then superimposed in front of the Smithsonian. As both King releases fit comfortably onto one CD, it's pretty obvious that they were just after maximising revenue by dividing the show into two discs - a shame! 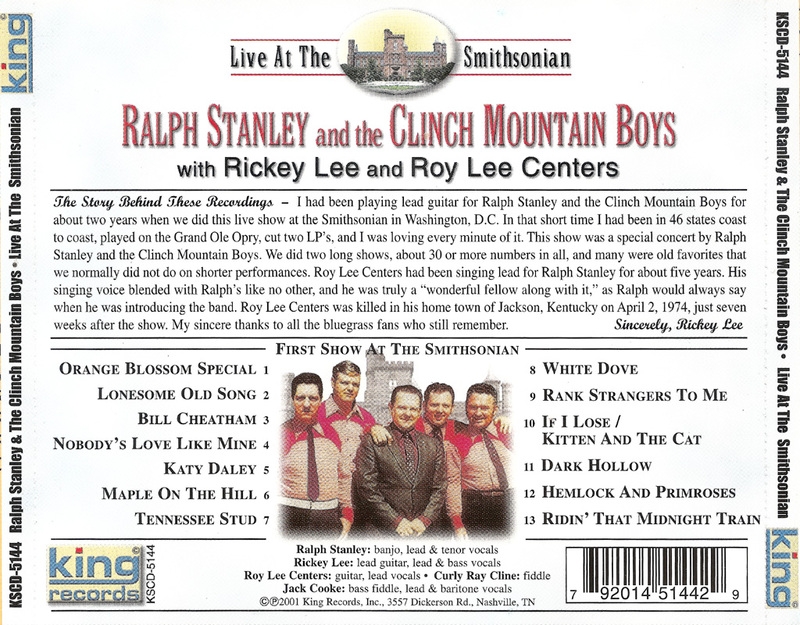 The CD tray artwork also has a quote from Ricky Lee, which gets the date of Roy Lee Centers murder wrong (it should be 2nd May, not 2nd April 1974). In 2006 Gary B. Reid oversaw a much better reissue of the both this and Vol. 2 on one disc, with decent liner notes and some pictures from the concert by by Carl Fleischhauer. See the original Atteiriam entry for more details.